On Sunday night, just over 7 feet over Paris' famous "Love Bridge" collapsed under the weight of all of the "love locks" that have been fastened to it over the past few decades. Long called the "Love Bridge", Paris' Pont des Arts has served as a romantic highlight for the millions of visitors that trapeze Paris each year. 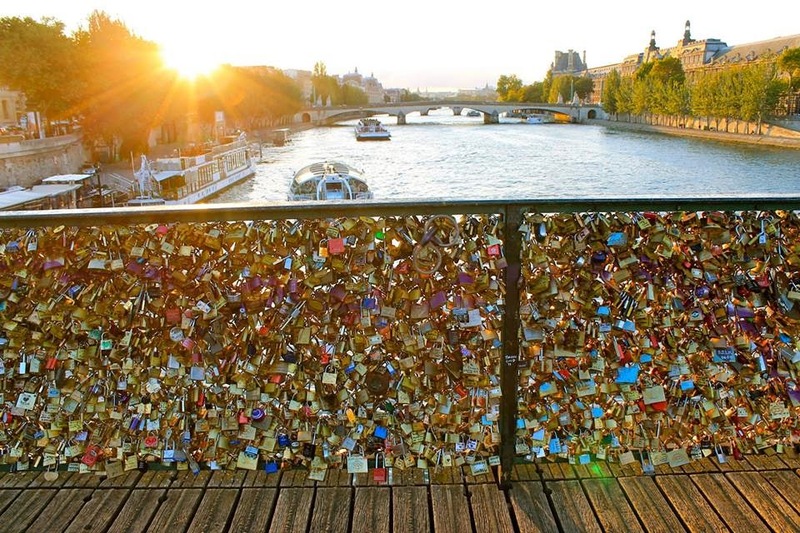 Visitors have been fastening their padlocks to the bridge and then throwing the key into the River Seine in a symbolic gesture of locking their love in time forever. Sadly, it appears that there was just too much love for the Pont des Arts, and part of it collapsed under the weight of...too many expectations? How, after all, can one poor bridge be responsible for so many relationships?